The scorching weather that we've had here and there over the past few months has really taken its toll on my hair and left it feeling really dry and frizzy and so I've been in desperate need of something to bring it back to life and tame it a little bit! 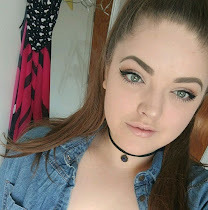 I've been using my Organix Brazilian Keratin Therapy Serum which I reviewed here but I can only use that on wet hair and sometimes I need a little something to revive it and crack down on frizz when it's dry! This Aussie Conditioning Milk is just the ticket! I'm a huge fan of Aussie products and this is no exception. This contains Australian Sea Kelp Extract which is what Aussie claim helps to tame stressed hair and control the frizz. On days when I'm not using the Organix Serum, I'll use this when my hair is wet and it really helps to untangle my long, unruly hair which really hates me washing it and shows this by tying itself in a million knots! But this really works its magic on those days when I wake up looking a bit like Monica Geller(you all know what I mean). I'm a bit wary of putting serums and such into my dry hair because it can often make my hair feel heavier and full of product, but this is so light and as the name would suggest; milky that it's so easy to work into the hair and doesn't leave it feeling sticky or weighed down. It immediately calms frizz and keeps it controlled for hours and my ends always look a lot healthier and more sleek when I use it. I really love the scent of this, too. It doesn't smell sweet like a lot of the other Aussie products I've tried in the past, instead it has a very fresh, clean smell which is brilliant especially for a product that's being used on dry hair maybe a day or two after it's been washed as it almost freshens it up a bit too. It comes with a really handy pump so there's no fiddling around trying to squeeze products out of the bottle and spilling it or wasting anything (I'm looking at you, Organix serum) which is a definite plus. 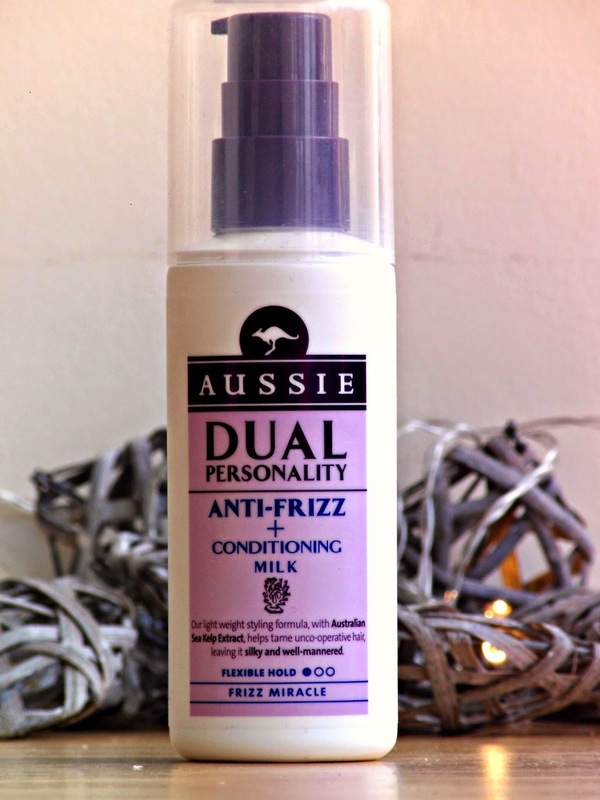 This retails for £4.99 in Boots which is where I bought mine, and there are a whole bunch of other 'Dual Personality' products in the range, including hair spray and mousse, so if like me, you suffer from quite terrible frizzy hair I'd definitely recommend checking out this line from Aussie! Have you tried anything from the Aussie Dual Personality range? What's your favourite Aussie products?